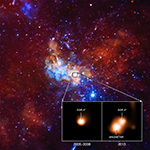 Scientists have used NASA’s Nuclear Spectroscopic Telescope Array (NuSTAR), an orbiting X-ray telescope, to capture an extreme and rare event in the regions immediately surrounding a supermassive black hole. A compact source of X-rays that sits near the black hole, called the corona, has moved closer to the black hole over a period of just days. 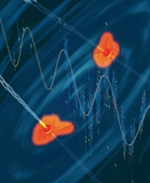 The researchers publish their results in Monthly Notices of the Royal Astronomical Society. “The corona recently collapsed in towards the black hole, with the result that the black hole’s intense gravity pulled all the light down onto its surrounding disk, where material is spiralling inward,” said Michael Parker of the Institute of Astronomy in Cambridge, lead author of the new paper. 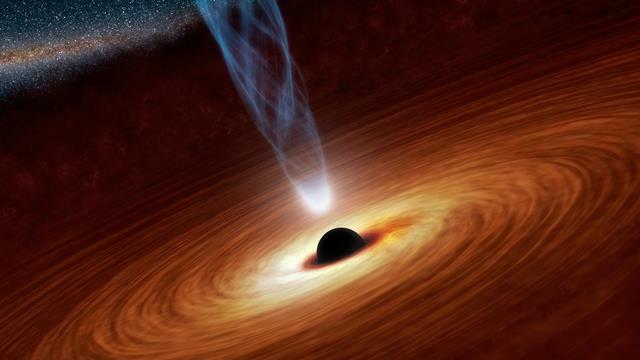 As the corona shifted closer to the black hole, the black hole’s gravitational field exerted a stronger tug on the x-rays emitted by the corona. The result was an extreme blurring and stretching of the X-ray light. Such events had been observed previously, but never to this degree and in such detail.